The Food Alphabet and More: What do Chefs Sandy Daza, Boy Logro and Rosebud Benitez have in common? Clue: It’s so creamy and so sarap! Leave it to chefs to know what’s really good and delicious. When it comes to Filipinos’ beloved halo-halo, Chefs Sandy Daza, Boy Logro and Rosebud Benitez can agree on one thing: they love Mang Inasal Pinoy Halo-Halo. The three celebrated chefs had the special opportunity to taste the popular and well-loved Mang Inasal Pinoy Halo-Halo which is known for its creamy sarap goodness. 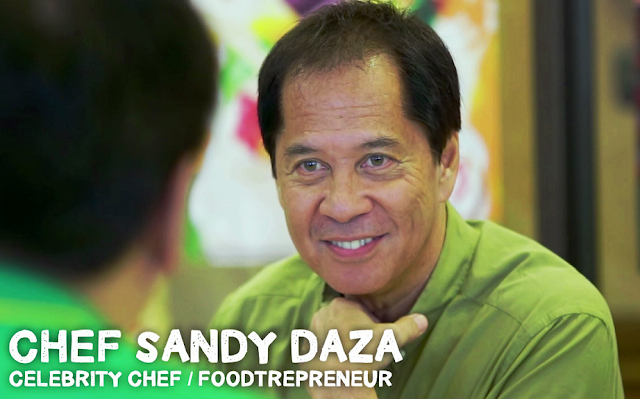 Watch this video to find out more about Chefs Sandy, Boy and Rosebud’s Mang Inasal Pinoy Halo-Halo experience.